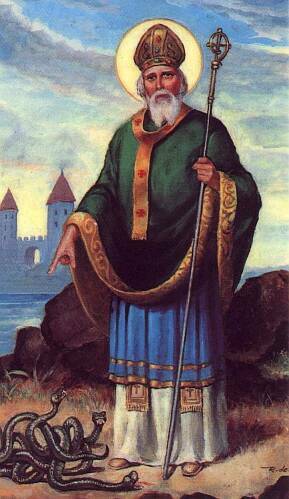 The patron saint of Ireland, Saint Patrick, is often credited with kicking all the snakes out of Ireland. Countless works of art have depicted the bearded saint crushing serpents under his feet, and pointing to the distance with his staff as if to banish them from his sight. But how is one to reconcile this story with the fact that there has never been any evidence of these reptiles living in Ireland in all its history? Some scholars contend that the snakes were originally symbols for Irish druids. Serpents are thought to have been important in the Celtic spirituality of the pagan Irish, and the druids were the keepers of that faith, acting as priests and priestesses. So if indeed the druids are the snakes in these stories, and Patrick is supposed to have driven them forth from their homeland, can we suppose that there is any truth to the idea that Patrick had a hand in banishing the druids from Ireland? Just who were these druids whom Patrick is said to have expelled? In addition to driving forth the serpents from the land, Saint Patrick is also said to have been the first man to introduce Christianity to the Irish. If this is true, what exactly was the nature of this conversion? Muirchu maccu Machtheni was an Irish bishop who wrote Patrick's hagiography, The Life of Saint Patrick , during the seventh century, two hundred years after Patrick's death. This set of stories colors people's understanding of the saint even today. Muirchu wrote that Patrick was the driving force behind the annihilation of the Irish druids. Two of his stories illustrate this claim particularly well. The first deals with Patrick and his former master (Patrick had been sold into slavery from Britain to Ireland at sixteen). The other concerns a confrontation between Patrick and the pagan king Loiguire, along with Loiguire's court druids, at the Hill of Tara in northern Ireland. The Patrick in these stories demonstrates behavior not thought typical of a Christian bishop. Instead of possessing the traits of patience and forgiveness, Patrick is shown as vindictive, and he succeeds in a quest to punish his enemies with the help of the Christian God. So it seems that indeed it was Patrick's intention to convert Miliucc to Christianity, and the bishop was angry simply because Miliucc had died a pagan instead of a Christian. If one suspects that this reaction is a bit odd for a man of Christ, what is even stranger is Patrick's confrontation with the pagan King Loiguire and his spiritual leaders, the druids. 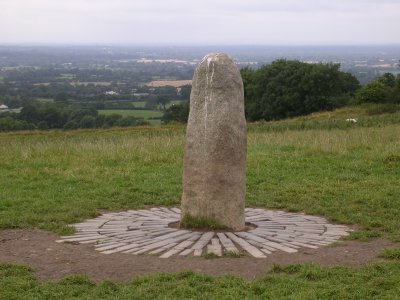 On the Hill of Tara stands the Lia Fáil or Stone of Destiny, a pagan symbol of royal power. In myth, the stone had otherworldly origins, and it would shout when touched by a rightful king. Image by Przemysław Sakrajda. Used under GNU Free Documentation License. Essentially, the druids told their pagan king that if they did not stop the actions of Patrick that night, then Patrick would supplant the pagan religion and replace it with the newer Christianity. Of course, King Loiguire was not happy with this idea, so he set off with a number of his druids to stop this act of treachery. The story goes on to describe how the druids confronted Patrick for his misdeeds. Faced with these disgruntled pagans, Patrick converted one instantly, threw another druid up in the air with the power of God and crushed his skull against a rock, and summoned an earthquake to kill the majority of the rest. After this, Loiguire made an escape by pretending to be a pious Christian, but that did not stop Patrick and his followers from bursting into Loiguire's palace the next day when the pagans were feasting for their celebration. Patrick did this "in order to vindicate and to preach the holy faith at Tara before all the nations" (Bieler 93). This is when Patrick and the druids engaged in a magical contest to see whose skills and religion were superior. Once again, the pagans suffered fatalities and lost the contest. "For at the prayer and word of Patrick the wrath of God descended upon the impious people, and many of them died" (Bieler 97). Patrick continued on to tell King Loiguire, "If you do not believe now you shall die at once, for the wrath of God has come down upon your head" (Bieler 97). Indeed, this "convert or die" proclamation convinced the pagan king that "[i]t is better for me to believe than to die" (Bieler 97). Who were these pagans and druids who suffered much at the hands of Muirchu's Saint Patrick? Were the Irish pagans truly evil? Did people honestly believe that the druids possessed great magical powers, such as the ability to call down snow and darkness at will? To begin, one must be aware that no one really knows much about the Irish druids. Peter Ellis says in his book The Druids that "one person's Druid is another person's fantasy" (11). Ellis continues on to note that the druids were forbidden by religious law to write down any of their learning, lest it fall into the wrong hands. Most of what we know about them comes from sources innately hostile to the druids, namely the Romans who conquered them in Britain in the first century AD (Ellis 13-15, 32). Rather than being purveyors of spells and magic, the Irish druids were a learned class that fulfilled many functions in ancient society, from carrying out priestly duties (namely at pagan holidays and festivals) to acting as "philosophers, judges, teachers, historians, poets, musicians, physicians, astronomers, prophets, and political advisors or counselors" (Ellis 14). The word "druid" is related to dru-wid, which means "oak knowledge." Not only did the oak figure in to the spiritual life of the druids, but Ellis proposes that the oak symbolized survival itself, as it supplied many essential substances, including wood for kindling and shelter, and acorn flour for bread. Ellis thinks that thousands of years ago, those who knew about the properties of oaks were said to have "oak knowledge," and thus they were considered part of the learned class, as they were the ones who possessed the knowledge that would help the Celts survive (39-40). There were three primary classes of druids: the bards (singers and historians who passed down knowledge through song), the prophets, and the druids who studied philosophy and nature (Ellis 51). Druids could marry and have children if they wished, and many druids were actually women, called ban-drui or druidesses. Saint Brigit of Kildare is said to have been brought up and educated as a ban-drui before converting to Christianity. Though the Irish druids refrained from leaving written records of their practices, what is clear is that druids in early Celtic society were not considered mere magicians. Instead, they comprised an entire intellectual class and performed necessary functions in Irish society. Throughout history, there have been cases of one religion imposing itself on another by force. Was the conversion of Christianity in Ireland another such instance, as Muirchu would have us believe? Magic and prophecies aside, Muirchu's stories imply that Patrick came to the island with a troupe of men to convert the "heathens" to Christianity. Ostensibly, in the course of this mission, there were some bloody encounters between Patrick and those of the older pagan faith, especially the upholders of that faith, the druids. How well do these stories, written two centuries after Patrick's death, represent reality? To answer this, it is important to note that scholars make a distinction between the mythical and the historical Saint Patrick. Muirchu and others after him are responsible for inventing the character of the mythical Patrick. Muirchu's Patrick is a shaman who is familiar with the workings of magic and miracles, and is not above cursing and killing his enemies in the name of Christ. He scorns the druids and their pagan faith because he believes that it is a false faith. Thus, he can justify his actions toward those who refuse the word of God. The stories of the mythical saint can certainly tell us much about the context of the times in which they were invented, the seventh century AD, but what can they tell us about the truth behind the conversion of the Irish to Christianity? Is there any historical basis for these "convert or die" tales? To best be able to consider the character of the historical Saint Patrick, it is wise to consider his entire pilgrimage and dealings with the Irish. There is a manuscript by Patrick called the Confession , written in the fifth century AD, in which he relates some of the events that meant much to him in life. He describes his first interaction with the Irish, which could indeed be considered a bad one: at age sixteen, Patrick was captured in an area of Britain called Bannaventa Taburniae by Irish raiders, and was subsequently sold into slavery across the sea. (No one has been able to locate this settlement, but scholars assume it is on the west coast.) In Britain, he had been part of the landowning upper class. His father was a deacon and his grandfather was a priest. (The clergy had less strict notions of celibacy in that period.) Yet Patrick admittedly was not a faithful Christian. He said, "I did not believe in the living god, no, not from my infancy, but I remained in . . . unbelief" (Thompson 7). Images by Thomas A. Lessman. Used under Creative Commons License. Raids, such as the one Patrick fell victim to, were not uncommon in the fifth century AD. There was a general lawlessness about Britain at that time. 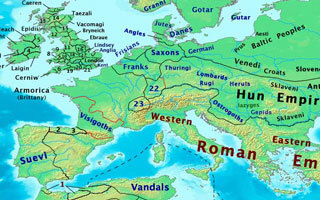 The Western Roman Empire was collapsing, many groups of people warred with each other for power, and different groups of raiders took advantage of this instability. This was the period when the mythical King Arthur is supposed to have lived, the king who united all the warring tribes under the Cross in peace. Sadly for Patrick, this was not the case when he was a boy, so he was abducted just like "thousands of others" (Hanson 76). For six years, Patrick toiled as a shepherd for a minor Irish king in the Wood of Fochloch, which is believed to be near what is now Killala Bay on the west coast of the island (Eaton, McCaffrey). The conditions under which Patrick worked as a slave were not necessarily as bad as they could have been. He does not appear to have endured abuse, though he suffered from the weather and isolation (Thompson 17). His lonely situation was enough to make him turn to the Christian religion he had disregarded as a boy. He wrote that he would wake up before dawn to say up to one hundred prayers (Hanson 86). Essentially, Patrick was taken from his atheistic, materialistic boyhood, and thrown into the trials of slavery. In this challenging period of his life, he turned to Christianity to console himself. His newfound Christianity seems to have given him hope about his situation. According to Patrick, one day God told him a ship was waiting for him, to take him back home. This is what sparked Patrick's decision to escape his servitude. In what must have been a terrifying event, Patrick stole away from his pagan master and made his way to the other side of the island, seeking a ship that would take him back to Britain. He must have come upon a trading port, for a week or so later he found a boatful of traders waiting to leave the coast. Patrick begged for them to take him along. Some think that Patrick may have used food he stole on his escape to barter his way off the island (Thompson 22). At first, the Irish pagan crew refused to take Patrick with them, but in a surprising twist, they changed their minds and called him back to the boat. Patrick describes the captain as a particularly surly man who was proud of his pagan faith and refused Patrick's attempts at conversion. Historians are uncertain of what happened in the next three years of Patrick's life. In fact, it is not even certain where exactly these traders took Patrick. It took them three days to reach land, but which land is a mystery. Some scholars have proposed that they landed in Britain, but that does not explain why it took Patrick three whole years to return to his family. Why did he not immediately go to them if they landed in Britain? The most agreed-upon answer is that they took Patrick to Gaul. Patrick says that after their landfall he was sold again into slavery by the surly Irish captain and crew. This would have been easier for them to do in Gaul, considering that Patrick would not know anyone in Gaul to escape to and he would be unfamiliar with the terrain. The Irish sailors "knew that he was an escaped slave, friendless and without resources or influence, an ideal subject for a kidnap" (Thompson 28). It would certainly explain why the sailors changed their minds and let Patrick board their ship after first refusing him. Perhaps they realized he would be a benefit to them after all, if they could sell him into slavery in Gaul. Patrick apparently escaped once again, and ended up working for three years to be able to pay for a boat ride back home to Britain. There is also a darker theory that has been suggested to explain this period in Patrick's life. We know that Patrick wrote the Confession as a reaction against some sort of criticism he received from a group of fellow Christians, who questioned the rightness of his promotion to bishop. Some scholars have proposed that there are certain inconsistencies in this section of the Confession , and that the best way to explain this is to assume that the Irish sailors actually intended to plunder Gaul and that Patrick simply went along with them because he had no choice (Thompson 32). That would certainly be a reason for some Christians to question his status as a bishop, if he quietly went along with a group that exploited the weakness of Gaul during the Western Roman Empire's collapse. If one is to accept this theory, the second slavery that Patrick claimed to have suffered was actually a cover-up for a period in his life when he either participated in or was forced to witness raids along the Gaulish coast. So we know that Patrick had at least three bad interactions with the pagan Irish that may have shaped his opinions of this entire group. The first, dreadful interaction involved the Irish pirates who sold him into slavery. The second was with his pagan slave master who used Patrick as free labor to herd sheep. And the third was the ambiguous situation with the surly pagan Irish crew. Whatever happened between Patrick and the crew, it could not have made a very positive impression. Either they sold him again into slavery in Gaul, or they took him along on a raiding spree in Gaul despite his desire to go back home. By the time Patrick was able to raise enough money to buy his way back home to Britain, he was around twenty-six years old. It had been ten years since he was sold into slavery. Once reunited with his family, though, he did not stay there long before he decided it would be his life's work to return to Ireland, the land of his captivity, to convert the Irish pagans to Christianity. He was aware of the disadvantage he had in official theological learning. While he had been toiling as a shepherd in Ireland, all his peers had been educated to a great extent. In a divergence from the mythical stories, the historical Saint Patrick lacked the hubris that Muirchu and later writers gave to him, and was very self-conscious about his lack of education, knowing his written Latin left much to be desired. At any rate, Patrick began having dreams of a man named Victoricus, who urged Patrick to return to Ireland. Later writers have claimed that Victoricus was an angel of God but E. A. Thompson argues that this man most likely was a friend Patrick had met back in Ireland (37). It is thought that Patrick then returned to Ireland despite the many protests of those in Britain. In Ireland, he became a deacon, and eventually was appointed to be a bishop. How, then, did he go about his mission of converting the pagan Irish to Christianity? Were the events as clear-cut as Muirchu describes, with resistance from the pagans and druids at first but ending finally with their submission to Patrick's superior faith? Historically, the Irish did not seem threatened by Patrick's activities. Many actually incorporated Christianity into their beliefs. In addition, scholars are not sure whether Patrick was as wildly successful at conversion as Muirchu claims. However, long after Patrick died, the church apparently had gained enough power to write its own version of events. Muirchu and others were allowed to create a revisionist history. In it, they claimed that Christianity was superior to paganism, and that this divine superiority had enabled a miraculous victory in Patrick's time. Thus, authors such as Muirchu made Patrick's mission seem more successful than it actually was. So, when Patrick first introduced Christianity to the pagan Irish, there was little contention between Patrick and the druids. But by the time Muirchu and others came along, circumstances had changed such that they could claim it was a straightforward matter of good versus evil, in order to further their own agenda of replacing paganism with Christianity. Nevertheless, it is clear that Patrick was the first Christian man ever to go to Ireland with the express purpose of converting the Irish to Christianity. Before Patrick went on his conversion mission, a man named Palladius was sent by the pope to Ireland in 431 AD, but it is thought that Palladius was not expected to preach his faith among those who did not believe. He instead was expected to act as bishop and administer to the small communities of Christians who already lived in Ireland. Who these Christians were or how they came to be in Ireland is not known. "It was none of [Palladius's] business to go out among the heathen and convert them; he had enough to do among the faithful" (Thompson 56). E. A. Thompson also adds, "One reason for the backwardness of the Church in trying to convert the barbarians was presumably the view held by a number of churchmen that the barbarians were not fully human" (63). Scholars admit to being mostly ignorant of the happenings in the fifth century AD. There is very little surviving evidence that would allow us to get a good picture of what was going on at that time. However, we do know that Patrick's mission was not as cut-and-dried as Muirchu would have us believe. In fact, one of the reasons his family had protested the idea of mission work in Ireland was precisely because it was a dangerous proposition. Patrick himself knew when he departed with the aim to convert the Irish tribes that it would be a difficult task. Nonetheless, there are no contemporary records of confrontations between Patrick and the druids, upholders of the pagan faith. Why is this so? Did the pagans give up their religion without a fight? In reality, there does not seem to have been any reason to fight. Patrick recognized that he could not go to the foreign country with a condescending attitude. He realized that there was a potential for violence, not because his conversion efforts posed a threat, but simply because Patrick was a foreigner. Patrick wrote that God meant for him to "endure the insults from unbelievers, that I should hear abuse for being a foreigner, that I should endure many persecutions even unto imprisonment" (Thompson 80). He even expected and embraced the idea that there was a possibility he would be martyred. It is clear that the pagan Irish would not have tolerated the behavior of the mythical Saint Patrick. There was no way Patrick could use coercion or the threat of force as part of his strategy to convert the pagans. E. A. Thompson writes that "the pagans were far too powerful and menacing . . . . And he was doubtlessly aware that if he gave any sign of trying to impose his views on the Irish pagans against their will, his mission would come to an abrupt and bloody end" (90). So, being limited by this danger, did Patrick make any difference at all? Most scholars would say yes, but that it did not come at all close to the singlehanded effort that Muirchu tried to convince people it was. Patrick himself claims to be responsible for converting "thousands" despite the hostility he encountered, but no one can be sure that this is an accurate description. There is some evidence that he was better received by the youth in Ireland, and even slaves, especially female slaves (Thompson 91). We also know that Patrick mixed often with the Irish nobility, and in some cases ended up converting a number of that class too. Part of his dealings with the nobility consisted of Patrick paying Irish chieftains to cross their lands. The chieftains' sons would accompany Patrick while he crossed their fathers' lands. Even then it was not entirely safe. There is a recorded incident of Patrick being robbed by one chieftain's son. But why would the pagan Irish even consider converting to Christianity in the first place? It certainly was not because of a threat of violence, and not because they witnessed any inherent inferiority in their beliefs when compared to Christianity (as Muirchu states). We know Patrick had to be respectful in his approach, but still, one wonders why the Irish would abandon the gods they had worshipped for thousands of years to accept a god that a complete stranger told them about. Some scholars give a good explanation of what this conversion may have looked like. They suggest that this conversion is not what we would consider conversion by today's standards. Indeed, just because some pagans decided to accept Patrick's gods does not necessarily mean that they abandoned their own. Because pagans were used to accepting a number of different gods into their pantheon, it would follow that when they were introduced to this new god, it probably meant that they included him in their worship, not that they limited their worship to him (Hopkin 21). So, unlike in Muirchu's account of the conversion of Ireland, no one found Patrick so threatening as to warrant a call to arms over Christianity. There was never a recorded act of violence between Christian and pagan, nor was there a single martyrdom in Ireland over the conversion to Christianity (Hopkin 21). Although Patrick began the process of introducing the Irish to Christianity, it does not appear that he had nearly the phenomenal success that later writers would attribute to him. In fact, Patrick himself died in obscurity. Far from being the arrogant miracle-worker who made disbelievers pay for their skepticism, the historical Patrick "was not remembered as an enormously successful missionary—because he was not enormously successful. At the time of his death Ireland was still predominantly pagan, aggressively pagan" (Thompson 158). Why, then, does Muirchu go out of his way to describe Patrick as being singlehandedly responsible for the submission of pagan religion to Christian belief, or for the annihilation of the Irish druids? What exactly were the circumstances surrounding the conversion of Ireland to Christianity, if Patrick himself had little impact on the Irish? And how did the Irish druids react to this conversion? It would not be out of the question to assume that in the years Muirchu was writing, around the late 600s, a large part of the Irish population was Christian and not pagan. At least, the pagans and druids who remained were not "aggressively pagan" as they had been immediately after Patrick's death. Otherwise, how could Muirchu get away with his harsh portrayal of pagan and druid alike? If Patrick could not get away with such hubris in the fifth century AD, it would follow that Muirchu could not do so either among an "aggressively pagan" society. So what happened during these two hundred years that brought pagans over to Christianity? Historical Saint Patrick did introduce the island to Christianity, but we know that his success was small. What brought the majority of Irish over to Christian belief enough to tolerate such a negative portrayal of paganism and the keepers of paganism, the druids? And what was the point of Muirchu writing such an untruthful hagiography of Patrick? Most scholars agree that Muirchu was successful in reintroducing the Irish to the accomplishment and life of Patrick (Hopkin 36). In the seventh century AD, few in Ireland knew who Patrick was (Thompson 156). He obviously did not have a huge impact on their collective consciousness, and so writers like Muirchu were allowed to reinvent Patrick to suit their own purposes. These purposes are not in doubt. We know that Muirchu belonged to the monastery of Armagh near the Hill of Tara. The clergy claimed this monastery was founded by Patrick. At the time Muirchu was writing, there was a divide between the northern church and the southern church on the island. It appears that the northern church of Armagh needed propaganda to promote the position that their church should reign supreme in Ireland. So Muirchu's stories of Patrick being the primary force behind the conversion of Ireland to Christianity helped their goal in their "campaign to dominate the Irish church. As its power grew, so too did the cult of its founder" (Eaton, McCaffrey). It is also clear that the church leaders in Ireland wanted very much to convert the remaining pagans to Christianity. 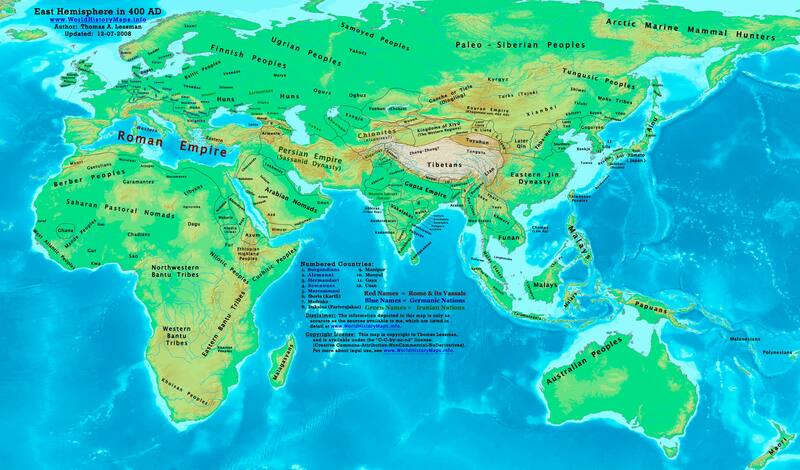 By the seventh century AD, they were in a far better position to do so, for it is known that the majority of pagans had already turned to Christianity en masse. The exact reason for this change of religion is debated. Some say that the majority of pagans turned to this new religion for reasons unflattering to the church. They argue that this conversion came as a result of the natural disasters and massive plague that killed off half of the population one century earlier in the sixth century AD. It appears that church leaders attempted to convince the people that such tragedies stemmed from the worship of pagan gods. "Christianity's spread across Ireland was accelerated in the sixth century by climate disaster and plague, the result, according to church leaders, of pagan wickedness" (Eaton, McCaffrey). In addition, "Scholarly monks in the seventh century AD reinvented Ireland's heroic, mythical past—the stories known today—in order to convert its pagan people" (Eaton, McCaffrey). "Since writing only came to Ireland with Christianity, the church also controlled literacy and thus the primary means of education." (Eaton, McCaffrey) Hence the vitriolic stories of the pagans and druids that writers like Muirchu espoused. Another method Christians used to convert pagans was to take over traditional druidic sites of worship, usually holy wells, and give them Christian names (Ellis 19). The takeover also extended to various holidays, as illustrated when Muirchu's Patrick proved the superiority of Easter over the pagan Beltane feast. Other scholars say that the conversion of pagans between the fifth and seventh centuries was a result of less sinister motives. They suggest that Christianity offered pagans values not embraced by the pagan theology, such as forgiveness and redemption. The renaming of wells, then, does not necessarily demonstrate a threatening behavior, but instead showed the willingness of Christians to adopt and welcome the pagan beliefs that had come before (Sellner 21). Scholars know very little about the druids as a group, so it is no surprise that we have no recorded reactions from the Irish druids about the methods of conversion. Since druidic beliefs were exactly what Christians wanted to replace, some historians argue that one way they did that was through devaluing the worth of the druid in society. druids still existed at that time, as they were still mentioned in the law books as having a place in Celtic society (Ellis 20). But it appears that by the time Muirchu came along, they were far fewer in number. The re-characterization of druids as sorcerers seems to have played a large part in the Christian propaganda of the seventh century AD, when Muirchu wrote the Life of St. Patrick . Muirchu was not unusual in his portrayal of druids as magicians. This was effective in downplaying their importance. Some argue that Christians replaced them as the intellectual class. With all these negative assessments of the importance of druids in Irish society, is it any wonder that the druids turned to Christianity as a way to fulfill the functions their ancestors had filled in the past? Christians were the new intellectual class. It seems that if one wanted to be a respected member of the learned class, one did not go into the woods to learn "oak knowledge" as in the past, but rather to the nearest monastery. Being a part of the clergy was respected, while being a druid was not anymore. As Ellis argues, "With the arrival of Christianity, the druids began to merge totally with the new culture, some even becoming priests of the new religion and continuing as an intellectual class in much the same way as their forefathers had done for over a thousand years previously" (18). Other scholars argue that the young Irish were attracted to the new values advocated by Christians, such as forgiveness and redemption. There is a story that illustrates the decline in druidic religion better than any research paper could ever do. In this story, the druid preferred to die with his faith rather than convert. Two hundred years after Muirchu wrote Patrick's hagiography, a man named Wrdistan wrote a hagiography of the sixth-century Saint Guenole, who lived in Brittany, a Celtic region of modern-day France. In this land, the druids were considered "elderly adherents to a dead religion" (Ellis 89). When the king of Brittany was dying, he called the saint over, and there the saint saw the druid. The king warned St. Guenole not to treat the druid poorly because the druid had endured much already. The king said the druid "has lost his gods! What sorrow can compare with this sorrow? Once he was a druid; now he mourns a dead religion" (Ellis 90). The druid and the monk buried the king, and in that spot the druid asked Guenole to build a monastery, admitting that that spot used to be a sacred site for his kind. He insisted that it be done anyway, and said, "[I]t is my wish, the wish of one conquered but resigned to the changing order of the times, one who feels neither bitterness nor hatred" (Ellis 90). The druid handled the loss of his religion, and thus of his connection to his ancestors, gracefully. When the monk suggested that the druid take up Christianity in place of his dying faith, the druid kindly refused by pointing to the sky and telling the monk that when they died, maybe they would come to realize that all their different faiths were in vain for "perchance there is nothing but a great mistake" (Ellis 90). When Guenole became outraged at this and again urged the druid to come with him back to the monastery, the druid once again gently refused. He would rather dwell in the woods as he had always done. Besides, he told Guenole on his way toward the forest, "Do not all tracks lead to the same great centre?" (Ellis 90). In conclusion, the historical Saint Patrick did not banish the druids or the pagan faith by sheer force of will as Muirchu suggested. The saint's pilgrimage to Ireland brought about the changes in that island that would eventually come to replace the old ways. Some pagans may have converted because they were attracted to new Christian values such as forgiveness, while others may have responded to more manipulative methods of conversion. Muirchu was not unusual in typifying the Irish druids as superstitious workers of magic. This seems to have been one of a number of tactics for converting the pagan Irish people to Christianity. These included appropriating Druidic sites for Christian worship and taking advantage of the natural disasters that befell the Irish people in the sixth century AD by saying that these were the result of pagan beliefs. Presumably, the prominence of snakes in Irish Celtic spirituality is a holdover from the Celts' earlier ancestors, who did not originate in Ireland but instead migrated from mainland Europe. Additionally, Irish Celts had frequent interaction with their British neighbors to the east, and certainly would have known of snake species abroad. It is likely that the church's views on the Celts were influenced by earlier Roman accounts of Celtic customs, which were overwhelmingly negative and described such practices as headhunting and human sacrifice. 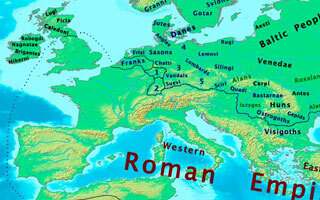 The validity of ancient Roman sources has since been called into question by modern scholars. Whether such practices occurred or not is better left to a separate article, but as far as Roman scholars were concerned, descriptions such as these served the function of painting the Celts as uncivilized. Modern scholars suspect that most Roman accounts of Celtic activity can be traced back to one source: Posidonios, a Greek ambassador of Rhodes, who set out to study barbarism as an exercise in stoic philosophy (Ellis, 50). Though Posidonius's works survive only in fragments, he is known to have been a friend of Pompey, and seems to have taken an amicable view of Roman expansionism (Franklin). Contemporaneously, when Julius Caesar wrote about the Celts, he was in the process of subjugating various Celtic strongholds to Roman rule. He had a vested interest in portraying the Celts as barbarous and in need of a civilizing presence such as Rome (Ellis 53). Bieler, Ludwig. The Patrician Texts in the Book of Armagh . Dublin, Dublin Inst. Adv. Studies, 1979. Bonwick, James. Irish Druids And Old Irish Religions . 1894. Eaton, Leo and McCaffrey, Carmel. "In Search of Ancient Ireland: Religion." PBS. Ellis, Peter Berresford. The Druids . Grand Rapids: William Eerdmans Pub. Comp., 1994. Franklin, Claire. "To what extent did Posidonius and Theophanes record Pompeian ideology?" Digressus Sup. 1 (2003): 99-110. Hanson, R. P. C. The Life and Writings of the Historical Saint Patrick . New York: Seabury Press, 1983. Hopkin, Alannah. The Living Legend of St. Patrick . New York: St. Martin's, 1989. Piggot, Stuart. The Druids . New York: Thames & Hudson, 1975. Sellner, Ed. The Celtic Soul Friend: A Trusted Guide for Today . Notre Dame: Ave Maria, 2002. Thompson, E. A. Who was Saint Patrick? . New York: St. Martin's Press, 1985. I like this article. I think that you are on the right track.